Tree species devastated by blight and insects aren’t truly gone until their genetics disappear. Ron Casier, chair of the Canadian Chestnut Council, displayed an American chestnut seedling in Delhi this week that is immune to a killer blight that descended on North America in 1904. 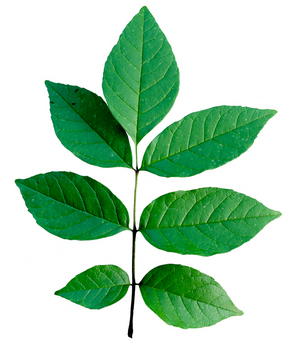 A similar genetic rescue of ash trees is underway in southern Ontario. Click here to read the full article in the Simcoe Reformer. If you’ve been grumbling at all about the recent cold snaps, the up side could be some degree of damage to Emerald Ash Borer populations… sustained air temperatures of -25 have the potential to bring about a 50% mortality rate, rising to 75% at -30. Read more in this CBC News article. 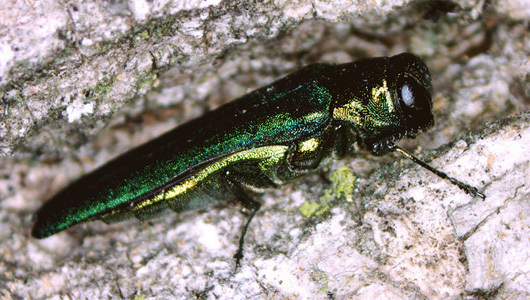 Emerald Ash Borer has been confirmed in trees in Owen Sound for the first time. City officials say the Ministry of Natural Resources and Forestry sampled three boulevard ash trees in the 1000 blocks of 2nd Avenue East and confirmed EAB infestation. Read full story on Bayshore News. A recent thought-provoking piece on the Owen Sound Hub concerning invasive species: Who’s Invading Whom. Invasive species may not be as black-and-white and issue as some might think… as one commenter remarked, “The worst invasive species is Homo sapiens.” Semi-related, another article from Owen Sound Sun-Times in July: Giant hogweed not the giant boogeyman, says weed inspector. Also notable are the BGWA members names to be found in the content and commentary on these articles… great see us “out” and talking about what we care so much about!! Here’s a great story from CBC News about a young person in New Brunswick who is on a mission to help monitor and battle Emerald Ash Borer (EAB). If you know of any potential young woodland champions in Grey-Bruce perhaps send the link their way and maybe it will provide inspiration!